Making the move into the ever-competitive Flamboro Speedway Mini Stock division, Erik Dalla Riva got stronger on a weekly basis over the course of the 2018 campaign, learning each step of the way. “I got off to a slow start and struggled a little bit towards the middle of the season but with the help of everyone on the Spira team, the last half of the season improved immensely,” he told SHORT TRACK MUSINGS. “We missed the setup the first few races of the season and were chasing our tail to catch up, but that turned out to be more about communication between myself and the team as well as not being confident in making the bigger swings in the set-up that were required to get the cars handling to change to suit my driving style instead of adjusting my driving to suit the cars handling. At the year-end Frostoberfest special, Dalla Riva ran just outside the top-five through most of the first feature, but capitalized on other competitor’s late-race misfortune to finish third. He then backed it up in the second 50-lap feature, working his way from the 11th starting spot to the front, avoiding the incidents along hte way to finish third. As a result, he would be crowned the overall Frostoberfest Champion, taking home the prestigious Igloo trophy. Alongside winning the year-end special and placing fifth in the standings, he said there were some other great highlights from the rookie campaign to remember. 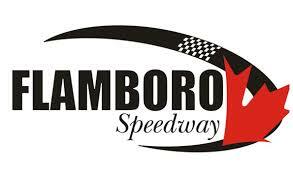 With full fields every week at Flamboro Speedway – boosting some of the most competitive fields in the province, the success was rewarding in knowing the caliber of talent he was able to beat. Whether Dalla Riva will be in the Mini Stock field next year is yet to be seen, with his plans for 2019 currently up in the air as the No. 86 Spira Racing Mustang is currently up for sale.